I wanted to dig into fundamental differences between regular business and home makers or open source projects, according to me -- and it was good to see a few tie-wearing people nodding! What is interesting is I am now able to talk also from a professional point of view because I could gauge the links between "hand made" and "bought". This is my everyday work (and usually a dream job): creating sensors and/or algorithms that are tailor-made for unusual projects or clients. As Florian said, my blog is sometime very technical and sometime philosophical and I hope you like it this way (and yes, I plan to post technical stuff soon as it is getting verbose!). Life is much easier when you think about the things you make before you think about how to make money out of it! It also produces more innovation with less risk (and often less money for you in the end, but see below). Most businessmen thinks from the opposite point of view. Actually, companies also have good reasons not to throw too much energy in innovation as well (see the innovator's dilemna). And, (at least on the old continent), all "big" investors do look into how much you can make out of... whatever (as long as it looks hard to duplicate). They just forget about who makes it and why it matters more than anything else. OK, there may be a few (very respectable) that do think otherwise, but they are usually former tech people that succeeded as tech people, so they know. MIY: make it yourself ! My points on why DIY is no economically-impaired, hairy, beatnik, idealist, way of life. By the way it would better be MIY (as Make It Yourself), as it involves some novelty and creativity, in addition to doing it yourself (which is already what every of us should be doing, see, e.g. à la ifixit the "The free repair guide for everything, written by everyone."). "Home made" certainly does not mean "crappy" (think about craftsmanship). Anyhow, it happens often that an expensive item is hacked badly and beyond warranty so as to address a special need that the market does not consider for different reasons. Now, hand-made products is a direct answer to the owner or client needs: lifespan, energy consumption, geometry... Handmade tools may be better, both functionally and artistically. E.g., who on earth would tell Matthias Wandel he should buy all his tools from the industry instead of making them himself ? 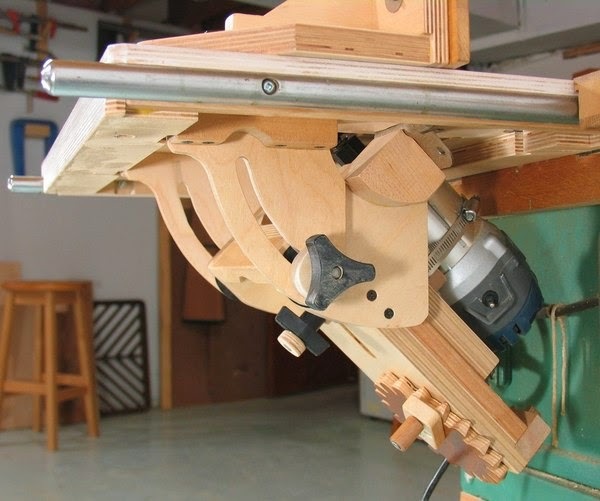 Matthias Wandel magnificient homemade tilting router lift. His website and videos are full of wooden marvels, and he does give a lot of advice. You can fail often: 1) no need to tell, 2) you will learn anyway, and 3) only one success is enough. It suffice you get one outstanding result once and it is more than enough. Absolutely no way to behave like this when you are mass-producing ("better" sacrifice quality to consistency). Learning today improves productivity tomorrow (do not try to make money too early). Your non-monetized time is an investment that pays back in the long term (this is personal experience, people know I have more than one solution and that I can cope with changing specifications, on the fly). 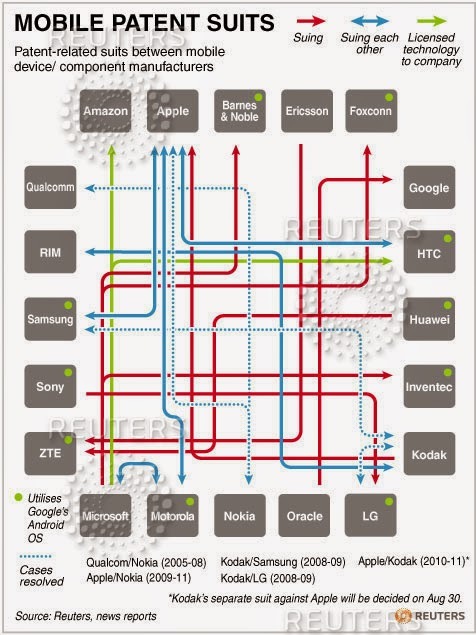 make better phones for their customers! Neither bragging nor marketing will work for makers or open source projects: you are judged by the community on facts. While "value engineering" is sane (i.e. try not to over-engineer something and hence make a product less expensive), it most often abused up to planed obsolescence in the industry (reduce willingly the lifespan of the product, make it "fashionable"). No such silliness when there is no "product" as viewed by regular businessmen. Be the first and share it, or someone will do it before you (or worse, a businessman may patent it). And more can be achieved with the community: cheap tools and free howtos. Your life is not your money. To quote Coco Chanel (! ): There are people who have money, and people who are rich. May be even more important: YOU can make it, do not be shy! One slide that was missing because of time, but which is back in the online presentation is: you do not need education to make something. The community and free internet is there) Though, if you have some education you may really apply it to the real world. And for sure, if you are self-taught, it may even let you think out of the box more easily. To quote Einstein himself: "the only thing that interferes with my learning is my education". So feel free, you are free. Jason gave an enlightening speech he gave before mine, about his BotBQ, a 3D hamburger printer. Seriously, when I heard about it I first though it was joke. Then I realized the guy really was spending time on it. Since he was invited as a speaker to the Fabcon, and I did not know how printing food could motivate someone to this extent, I absolutely wanted to see him talk about this at the show. But I realized he was conveying an important message way beyond the printer itself. Let me quote it from his speech, that you really should listen to "I am not an engineer, I am just a normal guy. So if anybody is discouraged, there is one thing you can take away from me today : if you can do something, or if you think you want to do something, just do it, don't hold back". Seriously, Jason, you are plain right. "Why?" was a very wrong question in my mind in the very first place, and "Why not?" is the answer anyway!